Warner Bros. has decided to push up the release of Wonder Woman 2 by roughly a month and a half, from December 13, 2019 to November 1, 2019. 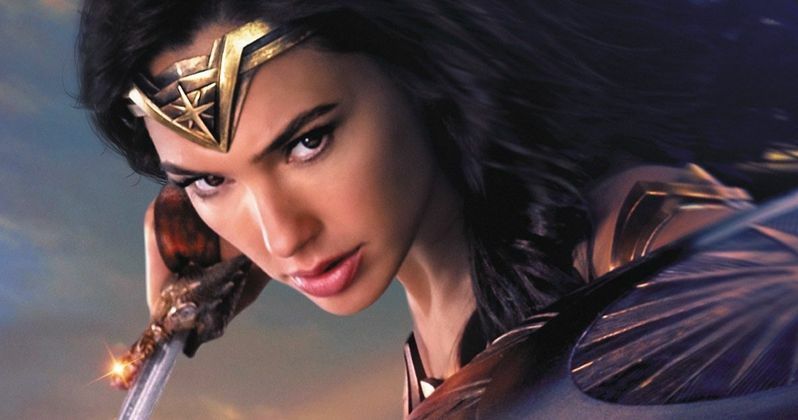 This comes just after Warner Bros. denied that star Gal Gadot threatened to walk away from Wonder Woman 2, if Brett Ratner and his Ratpac-Dune Entertainment company was involved with the sequel. RatPac did have a financing deal with Warner Bros., with Brett Ratner reportedly making a lot of money from the release of Wonder Woman, but the studio had severed ties with Brett Ratner after several women came forward to accuse him of sexual harassment. Warner Bros. had already slated an untitled DC film for release on November 1, 2019, which is currently the only movie slated for release on that date, with two Christmas movies arriving in the two weeks after this release, Disney's Nicole, starring Anna Kendrick, and Warner Bros.' Margie Claus, starring Melissa McCarthy on November 15, 2019. As of now, no other movies are slated for release on December 13, 2019, although Sony's long-gestating Masters of the Universe is slated for release on December 18, 2019, and Disney's Star Wars 9 and Universal's Wicked will both hit theaters on December 20, 2019. While this Wonder Woman sequel is still two years away, there have been a number of developments on the sequel lately. Over the last few months, Wonder Woman director Patty Jenkins finally closed her deal to return and direct Wonder Woman 2, while writer Dave Callaham has come aboard to work on the script with Patty Jenkins and DC Films president Geoff Johns. Production is also slated to begin in the summer of 2018, with the plot reportedly set in the 1980s, featuring Diana of Themyscira facing a deadly Russian threat. It's possible that this 1980s period setting could mean that some of the characters from the World War I period setting of Wonder Woman could return, like Chris Pine's Steve Trevor, although they would certainly have to be aged up quite a bit, with the story set roughly 60 years after the first movie. It's also possible that the sequel could be bookended with present day scenes of Diana Prince, like the original Wonder Woman movie, which showed Diana working at her "day job" as an antiquities dealer out of the Louvre museum in Paris, before going back to the 1920s to tell her origin story on Themyscira. It's possible that a similar method could be employed for this Wonder Woman sequel, since it will hit theaters a few months after Justice League Part 2, which is slated to hit theaters on June 14, 2019. A present-day scene in Wonder Woman 2 could tie into the events of Justice League 2, although it isn't clear if this approach will be taken or not. The deal that Patty Jenkins closed for Wonder Woman 2 is said to be historic, making her the highest-paid female director in history. Her significant pay increase is certainly well-deserved, considering how successful Wonder Woman was this summer, bringing in $412.5 million domestic, the second-highest tally this year, and $821.7 million worldwide, the seventh-highest tally globally. Deadline broke the news on the release date shift, while confirming that Brett Ratner is not involved in any way shape or form with Wonder Woman 2, since his financing deal with Warner Bros. ends with the April 2018 release of Rampage, starring Dwayne Johnson.